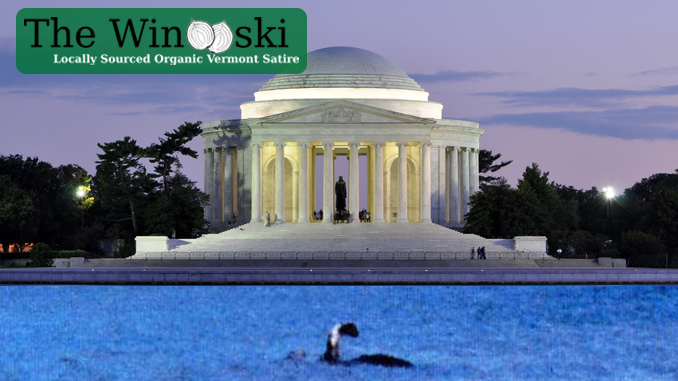 WASHINGTON DC – US President Donald “The Donald” Trump has appointed local Vermont sea monster Champ to fill the role of Director of the Environmental Protection Agency. With so many cabinet members recently stepping down, being fired, or mysteriously disappearing, Trump has had to spend most of his non-golf time appointing new people, although recently he has shied away from people as appointees in favor of monsters, ghouls, and undead creatures of the night. With Dracula as Secretary of State, an evil Leprechaun as Secretary of the Treasury, and the ice zombie Night King as Secretary of Health, some question whether Champ will be able to fit in as he heads to Washington. Frankenstein’s Monster, the new Energy Secretary, groaned concerns about the latest appointment, but Champ says he isn’t worried about working with his new colleagues. Champ starts work next week, as he arrives for an initial meeting with new Education Secretary Agatha Trunchbull.